Here is the bottom line: There is no question that both men and women can provide financially for their families. However, doing so fills a spiritual need in a man that it doesn’t for a woman. In addition, failing to provide financially erodes the essence of masculinity for most men but it leaves the core of a woman’s identity intact. When a man loses his job or cannot obtain one, it strikes a blow at the heart of his masculinity. For this reason his body often reacts with sexual impotence. This problem, with its capacity to damage the marriage, can intensify, rather than diminish, if his wife capably and expansively assumes the burden of supporting the family. Your question relates to this concept. We wouldn’t phrase it as “heading for disaster,” but we do think that you are wise to think about this now. Here are some of the questions we feel you ought to both be examining now. Is your girlfriend’s work a ‘calling,’ or a job? Is she doing something that she feels defines her identity, or she is simply good at what she does? Do you ever get the feeling that her job is the priority in her life? If one of you was offered a career opportunity that required moving, meaning the other spouse would need to leave his or her current position, would your decision be based solely on who earns more? Do either or both of you see a commuter marriage where you only live together a few days a month as a viable option? What would inform that decision? Do you both mean the same thing when you use the words “marriage” and “family”? When you and your girlfriend talk about raising a family, who do you see having primary responsibility for caring for children? Do you both understand why 50/50 is an unrealistic answer? Additionally we think that there are some really important questions for you to ask yourself. Why are you, at what we presume is a relatively young age, deciding that your own earning potential is so limited? Are you willing to do whatever is necessary to carry the primary burden of providing for a wife and family or are you counting on your wife to share that burden equally? If you were married and your wife decided, after the arrival of her first baby, that she wanted to be a stay-at-home mother and wife, would that delight you or terrify you? Have you expressed your preference to her in this area? If you have listened to our audio program, Madam, I’m Adam, you know that ancient Jewish wisdom places primary responsibility for marriage failure on the husband. Earning more than your wife doesn’t guarantee a successful marriage even though the opposite scenario is likely to pose problems. We encourage you to seek role models of enduring good marriages and openly ask for guidance from the husbands. Awareness of divorce is necessary in the world today, but if fear of divorce plays an outsized part in your thinking, we suggest that perhaps you need to develop your thinking and feelings before making a commitment to marriage. Susan, I always enjoy your Musings. I don’t think that you or the Rabbi will agree with this, my account doesn’t. My wife has had several jobs in our 57 years together. The money that the wife has earned has alwals been hers and the money that I’ve earned has been ours. I’ll let Susan answer for herself on this but I certainly approve of the approach you and your wife have used. I’d be a fool not to anyway, since something that has worked for over fifty years certainly ain’t broke! Thank you, Mark. We are not going to argue with 57 years of success. I’m not sure why we would argue, though. You supported your family and my guess is she worked when her focus was not needed full time elsewhere. Sounds like a win/win. With nearly 80 years under my belt I feel that the little experience that I’ve had to be valuable. 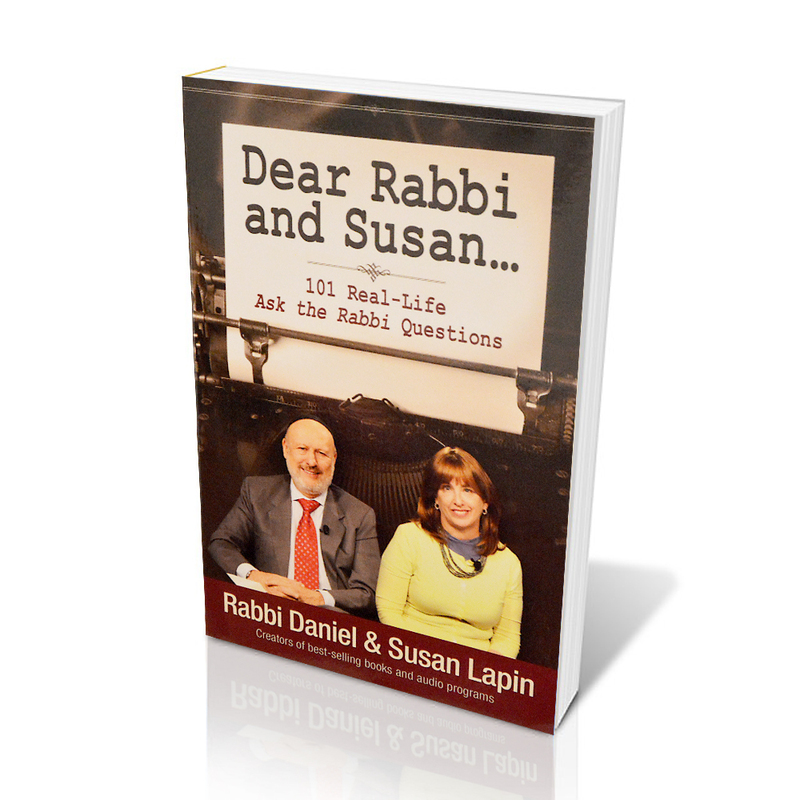 But God’s idea about marriage is “one-ness.” So now the question is, “How does a couple become “one?” Rabbi Shaul writes about this in the New testament and I think that feminine submissivity (is that a word?) kind of summarizes his instruction. But in order to be one, what do we mean? Perhaps have common goals? Whose goals, his or hers? But maybe I want it to go MY way; whose “my way” do we go? I ran across a manuscript that was a recent post on the I-net the other day entitled “How to Have a Good Marriage without changing Wives – Marriage That Works.” The male writer is about the same age as myself and what I got out of this gentleman’s post was that G-d in His infinite wisdom, designed that women should take a non-competitive supporting role. I experienced that for ten year relationship that was marvelous. I was not the one who made this happen. This had nothing to do with me. This was her. She might not have been a religious woman, but she was spiritual to the core, and she didn’t leave because she wanted to. She enjoyed this relationship as much as I did and neither one wanted it to quit. But we can’t live forever, not on this earth anyway, just because we want to. She’s been gone for 16 years now and I’m still in love with her. This question is SO relevant today. And it remains a veritable minefield. Not so long ago, before our President cut down the thorny forest of regulations, massive government controls had hamstrung enterprise and capitalist investment, with resulting losses to the job market. There was the HE-cession of a decade, where males were the bottom of the barrel and were laid off by the hundreds. I have been among them, so I have seen several facets of this discussion first-hand. The worst of it I saw in my son-in-law. In a broken family, his mother never took the trouble to teach him personal responsibility or how to handle money. He majored in ‘English’ but left college just 5-6 hours short of a degree. We thought he had drive and ethic sufficient to make his way. But it didn’t happen, for he lacked the gumption to pursue further enterprise. He accepted a series of jobs in the hospitality industry (translation: waiting tables, cooking and tending bar), for years. Not one ever lasted. When the truth finally caught up with him, how he had failed utterly to make a living and provide for his family of a loving wife and three wonderful children, he perished suspiciously in an accident on the motorway. From his testimonials to his small children, his death sounded very like a suicide. I lament that he never knew the joy of a profession in serving others. Our other son-in-law is an engineer who now at age 32, is in his fourth job post-college, with a dedicated work ethic, and increasing trust, responsibility and salary. He is fond of saying: ‘You can major either in math or science; all the rest is fast food.’ Oversimplified? Perhaps, but the bitter truth remains: all the basket-weaving courses, the gender studies, the mediaeval literature, philosophy, etc., had better net you an ivory-tower academic job; otherwise you must have a will of iron and immense resolution to forge a new path through the wilderness. Or else you will wind up slinging an awful lot of hamburgers and French fries. From this ‘Tale of Two Sons’ there is an implicit moral to emerge: choose your profession with great care and marry after your future seems rather secure. If this is no longer an option, find a way to return to school. And ATTITUDE is critical: learn early on the joy and rewards of a profession: a job well done in serving others. The money will follow.